Pre-folded, iron on bias tape. It will eliminate time consumption in making and pinning it in place. 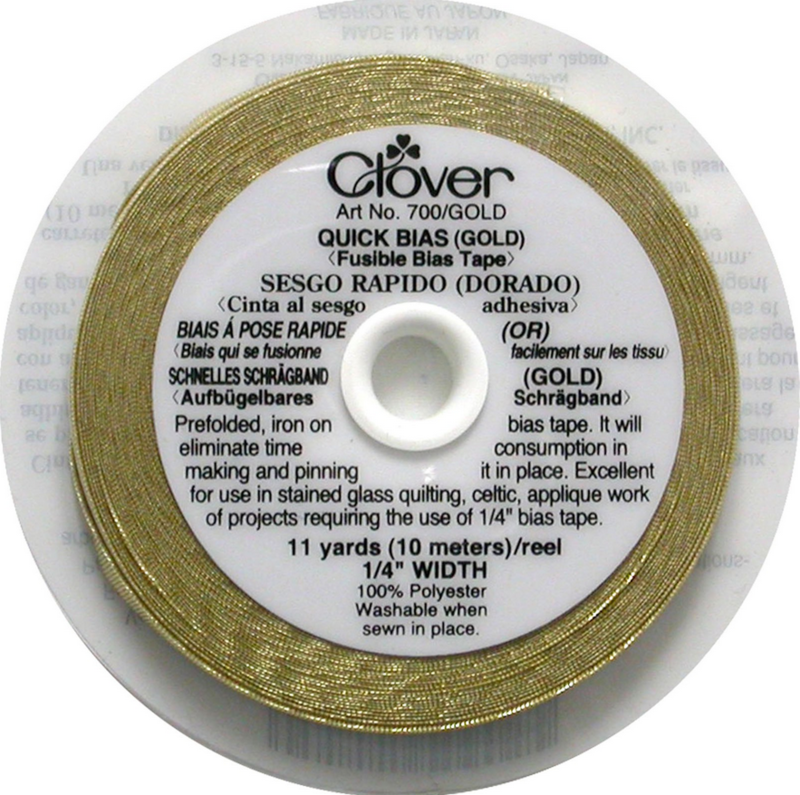 Excellent for use in stained glass quilting, Celtic appliqué and projects requiring the use of 1/4 inch bias tape.